Home › Doctor › Mitra Daneshrad, DAOM, L.AC. 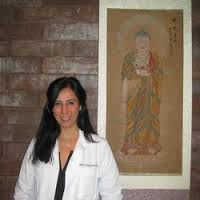 Mitra Daneshrad is a Doctor of Acupuncture and Oriental Medicine(DAOM, LAc. Board Certified) with over 13 years of successful practice in the field of natural, holistic medicine. Dr. Daneshrad was awarded her doctoral degree from Yo San University of Traditional Chinese Medicine. Her specialty includes Pain Management, and Woman’s Health. She focuses in on the integration of both the Eastern and Western approaches for optimal health, wellness, and healing by collaborating with medical doctors, orthopedic surgeons, chiropractors, and physical therapists. ‹ F. Marian Russman, M.D.